Yes, this jersey is designed to be worn underneath your goalkeeper jersey or training top. High performance polyurethane foam provides extreme protection from impact and abrasion caused by physical contact with the ground and opponents. The groundbreaking chest pad is designed to help you trap hard shots and reduce rebounds. Extensive rib padding to protect the goalkeeper when diving. 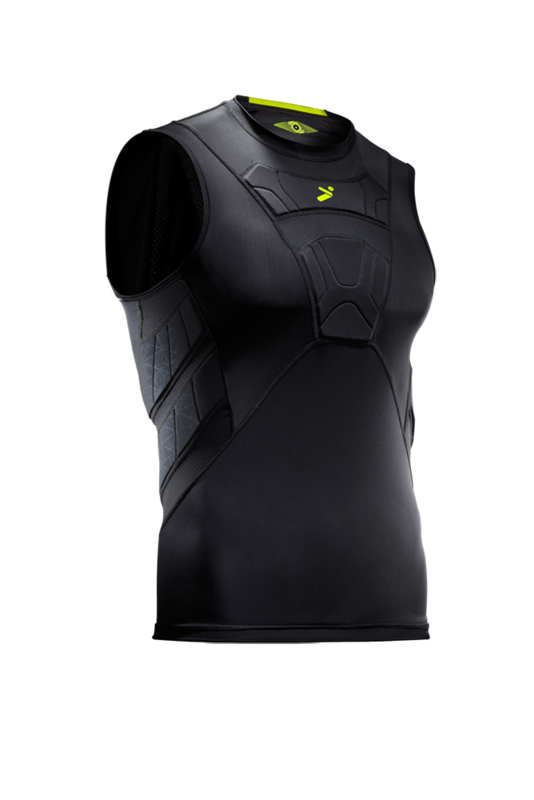 The sleeveless compression shirt is constructed from breathable, moisture wicking fabric and open cell protective foams. Stay cool in the heat and under the pressure of your opponents.